This drone is features excellent image quality. 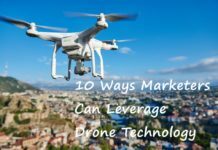 It is quick to setup and very easy to learn how to fly.The DJI Phantom 3 has a lot of features for its given price point. 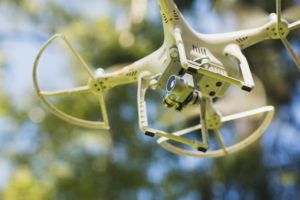 This will easily meet your imaging needs for aerial photography. Today we’re going to take a look at DJI PHANTOM 3 PROFESSIONAL. stabilised camera shoots beautiful 4K footage. 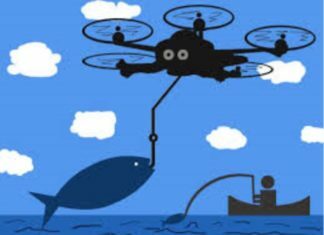 The most important feature of any drone is that you can trust it will follow your commands once you put it in the air. 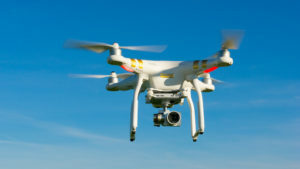 A computer and a drone can both crash, but only one will fall out of the sky. The DJI Phantom 3 Professional drone is the one you can make use of for a longer period without experiencing any erratic or buggy behavior. In fact, the first thing you’ll notice about the drone is how rock solid its positioning is. 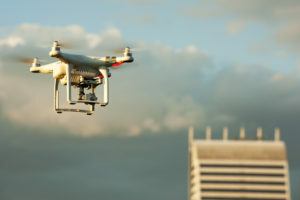 Most drones use GPS satellites to find and hold their place, but DJI has added the ability to work with GLONASS, a Russian counterpart to GPS. This means the P3 finds more satellites, and finds them faster, all of which translates into terrific performance. When you can’t find a satellite signal (like when flying indoors), the P3 uses a visual positioning system enabled by a downward-facing camera. This feature, which first appeared on the more expensive Inspire 1, works well when the conditions are right. If you’re flying over a surface with good contrast, say a checkerboard tile floor, the P3 is quite stable, and will return to position when pushed. If you’re flying over a surface with a uniform color and texture, maybe a white linoleum floor, there isn’t much for the system to see, and it doesn’t work well. Getting the most out of your position systems requires calibrating the compass whenever you arrive at a new location. You need to do an odd little “compass dance,” spinning the drone 360 degrees on its X and Y axes. Sometimes this worked right away, other times it failed to calibrate after several tries, warning me that there might be electromagnetic radiation about, and forcing me to repeat the whirling dervish act. The battery life on the P3 was a nice improvement over its predecessor. 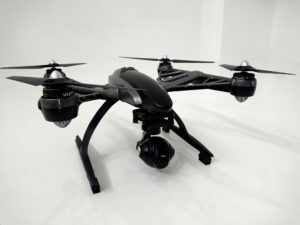 It routinely goes 20-25 minutes of flight time, versus the 15-20 minutes you get on the Vision 2+. The upgraded battery means this unit is not compatible with older versions of the drone or charger, and vice versa, which hurts if you already shelled out for extra batteries on previous Phantoms. And you only get one battery with your purchase. It takes 40 to 50 minutes to get a full charge, and the charger can now power up your battery and remote control at the same time. The remote control now has an advanced video downlink system integrated directly inside, called LightBridge. 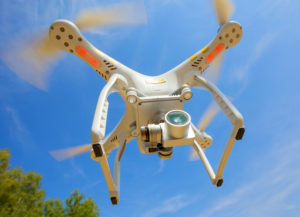 That means an accessory which the company still sells for $1,400 now comes standard on a $999 drone. It also means you no longer need to worry about having the external Wi-Fi extender, which you needed to charge separately and clip onto the previous remote. That’s a big improvement, simplifying the amount of gear and preparation required. 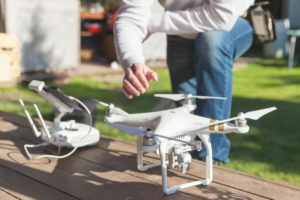 You don’t need a mobile device to fly the drone — it works with radio signals — but to really get anything out of it you will want to attach a phone or tablet to your remote using a USB connection and fire up the app. The LightBridge also extends the range at which your mobile device can receive a live video feed of what the drone’s camera is seeing. users are expected to get roughly 4,500 feet, and in videos posted online, users show flights that clock in at three miles. Technically, you can still control the drone once you’ve lost a visual. The LightBridge brings a couple more cool new features to the P3. 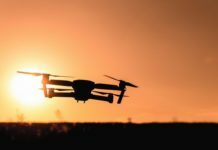 It lets you cache video on your mobile device while you’re still in the air, meaning you could fly into a volcano and still have the footage if your drone took an accidental lava bath. You can even edit and share video from inside the app while your drone is still in the air. All this leads us to the marquee new feature that LightBridge enables: live streaming. You can broadcast from the app to YouTube or Youku, the Chinese equivalent. It doesn’t work very well over LTE, and sometimes performs well over Wi-Fi, while sputtering out on the same network during the next attempt. 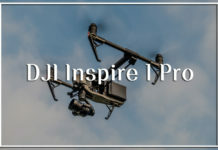 Originally it had both audio and video, but after an update this week DJI removed audio, an attempt to improve performance, but one that removes a lot of the fun and capability from the broadcaster. The P3 has several features that are now industry standard, like takeoff and landing with the push of a button or swipe inside the app. You will find out that it never had trouble navigating a safe landing, even in tall grass. There is also a return to home function that will bring the drone back to where it took off or to the spot where your controller is currently located. This is the kind of feature that is crucial for beginners. 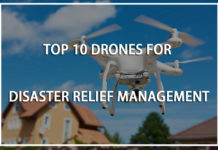 If you lose sight of your drone or are feeling nervous, press the button and it will move toward an altitude of around 100 feet while heading back in your direction. You will also find out that it usually landed within four to five feet of where it started. You can interrupt it at any time to regain control of the drone. The Phantom 3 looks pretty much identical to DJI’s previous Phantom models: a stout white plastic body, four rotors and narrow, fixed landing legs slung beneath. 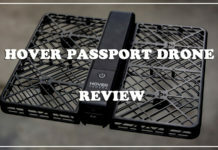 It’s light enough to carry in one hand and, when you unscrew the rotor blades, it’s just about small enough to fit into a decent-sized backpack. It’s certainly more portable than the much larger Inspire 1 drone. 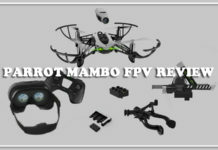 It feels as well built as before, with the capacity to survive both the odd bump into a wall or a small crash while you’re getting the hang of flying it. It can manage to fly it straight into the roof of my house where it plummeted three storeys to the grass below. Aside from a few cosmetic scuffs, it was absolutely fine, and continues to fly without any trouble. The rotor blades are easily replaceable if you snap a few. Just unscrew them from the motors on each of the drone’s four corners. You’ll know how to do it already, since the blades are the only parts you need to assemble out of the box. After a couple of flights, something interestin becomes apparent. 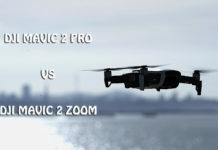 Most people know DJI as drone company, but it’s also in the camera game (via stabilizers and other rigs, as well as flying cameras). On the Vision series, the shooters were okay, but utilitarian, forgettable. 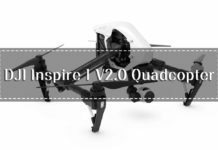 The Inspire 1 was when DJI started upping its game, and this trend carrie over to the Phantom 3 with its 4K/12-megapixel offering (for those interested, the sensor is a 1/2.3″ Sony Exmor). The more I flew, it started to become obvious that, if anything, the drone is almost secondary. 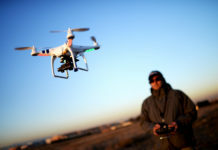 Flying is fairly easy, and fun in and of itself, but getting a great photo or video is so much more rewarding. It really helps that, in the Phantom 3’s camera, DJI has eliminated nearly every pain point that plagued the Vision series. I already mentioned the landing gear has been widened to prevent it from getting in shot. It further help with this, the camera now has a narrower field of view — 94 degrees, down from 140 (with a 35mm-equivalent focal length of 20mm and infinite focus). One bugbear remains, though, which is that it’s still easy to get the propellers in shot when flying forward at speed — but that’s a harder problem to solve. The Phantom 3’s FOV also helps with something else: fisheye distortion. The Phantom 3 barely has any. For the technical fans, DJI tells me this is because “it is a 9-element rectilinear lens which is designed specifically for aerial and long distance shooting.” This is also why the close up focus isn’t so good (see samples in the gallery), it was designed for aerial, and not general purpose. The color balance also seems much improved from the Vision+, and the gimbal it hangs from keeps it steady as a rock. When you factor in a bunch of new shooting modes (burst, time-lapse, etc.) and manual exposure settings (via that app), you’ve got a really comprehensive photography tool. The Phantom 3 proprietary battery pack features a LED light bar for indicating when the battery is charging and discharging. The battery pack easily slides and clips into the back end of the Phantom 3. This Phantom battery has a capacity of 5200mAh. Charging takes a little over an hour. An optional 12VDC charge cable is available should you want to charge the battery in your vehicle or with another 12VDC portable source. 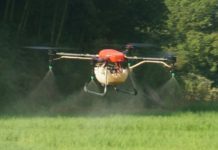 The drone offers about 25 minutes of flight time. This is compared to 10 to 15 minutes of flight time with the Phantom 1 and 20 to 25 minutes with the Phantom 3. The Phantom 3’s battery is hailed as “smart” because it processes charging, protection, and more through its motherboard. If you forget to turn off the quadcopter, the battery turns off by itself following 10 minutes of no use. If the battery gets too cold or hot, it will stop charging. Additionally, this “smart” battery sends authenticity codes to the Naza P2V. The Naza stops the motors from “arming” should it not receive the juice it needs from the battery. The hand controller is not a cheap plastic module you typically get with a starter drone kit. This controller has rubber surfaces and is very comfortable to hold. It doesn’t feel like it’s about to slip out of your hands. On the controller, you have a button for taking videos and for taking still images. 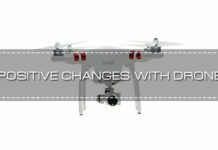 You can also change your imaging exposure, and a dial what controls the pitch movements on the camera gimbal. Also, there are two customizable buttons on the back of the controller that you can configure. If you don’t like the arrangement of the flight controls, you can go into the app and modify the configuration to your liking. 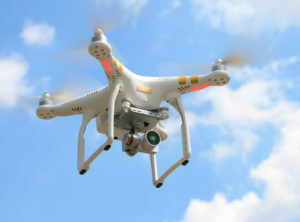 This controller has utilizes the DJI Lightbridge link to connect directly to your smartphone. So for FPV monitoring of the drone flight, you have 720p video at 30 fps that can be used up to about 2 km. The piloting application is available for both Android and Apple operating systems. The app features a readout to show how fast you are travelling, and a signal strength indicator between your controller and the drone. There is also a mini map that lets you track the position of your drone. The app allows calibration of the compass and drone gyros and provides a battery level indicator. For videos and stills, you can control all settings from the app. You can shoot still images while you are taking a video. The app allows for numerous camera settings. You can pick if you want the still images in JPEG or in the raw native format. For the video quality settings, you have options for white balance, and setting the contrast and saturation levels. There are four different video modes: 2 x 4K options, and 1920 x 1080p and 720 P options. 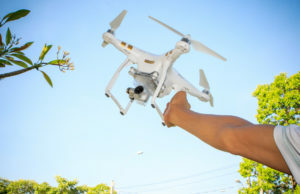 The controller is roughly similar to previous versions, with two main sticks and a clamp to hold a tablet — It is quite possible to make use of your iPad Mini without a problem — which acts as the display for the drone’s camera via the DJI Pilot app. There are small, fold-down brackets to hold a smartphone, with the app optimised for use with the iPhone 5S , 6 and 6 Plus . It is easier, however, to view the footage and use the app’s small on-screen buttons on the the tablet’s larger screen. Android device support is thin, with just the Samsung Galaxy S5 and Note 3 , Sony Xperia Z3 , Google Nexus 7 II , Google Nexus 9 , Xiaomi Mi 3 and ZTE Nubia Z7 mini listed. On each top corner of the controller are buttons for starting and stopping recording and quickly changing camera settings like the exposure and angle of view. Using these physical controls is much easier than poking at the tiny on-screen controls while the drone is airborne. This drone is rather easy to learn how to fly. Taking this for a spin for 15 minutes in an open area will give you the proper feel for the basics of flight. 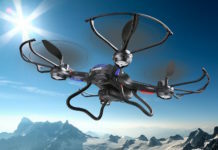 The drone features good accelerations, as well as good deceleration for avoiding any potential obstacles. 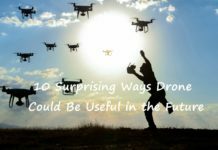 The drone does correct for wind, so it can handle slight winds. 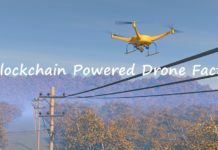 This drone is a very stable imaging platform, and provides for smooth and stable flight that result in amazing captured imagery. 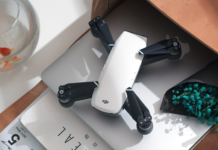 To aid in stability, the drone has an optical flow sensor which essentially another small camera that detects patterns to lock onto in order to stabilize its xy position. This allows for very stable hovering over a fixed position. 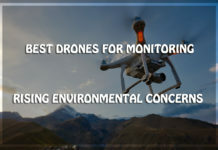 There are also ultrasonic sensors that measure the distance from the drone to the ground, providing for more accurate elevation estimation. 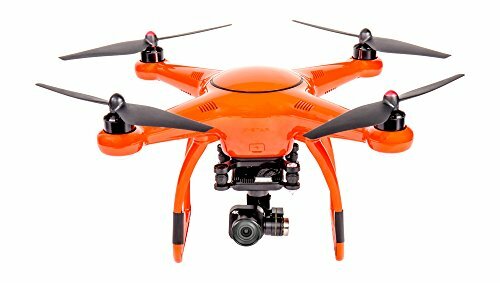 This drone has an improved GPS internal processor allowing for quick acquisition of a GPS signal lock. This GPS also works with the Russian as a well as the standard GPS satellites, allowing for faster and more reliable satellite signals for position determination. With the DJI PHANTOM 3 PROFESSIONAL, you get more than what you pay for because of its ability to satisfy users even more than what their wallet could vomit. 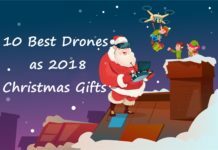 As part of the RTF bundle, if features two 5400mAh flight batteries, providing up to 25 minutes flying each per charge – depending on wind-resistance and other factors. Additionally, the bundle features an aluminum case with removable trolley to safely store and transport the Q500+ and accessories in. Fly with absolute freedom and confidence, knowing your Phantom 3 Standard will return to you at the press of a button. Built-in GPS records your Phantom’s takeoff point and remembers it as you fly. Then at your command, or if the control signal is ever lost, your Phantom comes back to you instantly. Your Phantom 3 Standard stays stable and under your control at all times during flight. After takeoff, it automatically hovers in place, waiting for your command. It then effortlessly changes altitude or direction at the flick of a finger. When you want it to stop, it again pauses and hovers, waiting for your next instruction. When you stop telling it to move, the Phantom 3 Standard hovers perfectly in place, holding both position and altitude. It waits for you to give it instructions. This means all you need to think about is where you want to fly. Throughout each flight, your Phantom 3 Standard sends its position to a live GPS map on your mobile device. Use this map to see right where it is, know which direction it is facing, and guide it back to you in an instant. Because the Phantom knows where it is and where you are, it can calculate how much longer it can continue flying. 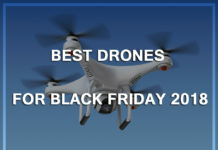 It will send you a reminder to land when the battery runs low, and it can automatically come home and land when needed. Four bright, large LED lights on each arm of the Phantom 3 Standard light up as you fly. So at a glance, you know which direction your Phantom is facing and its current status. Fly for up to 25 minutes on a single charge. The patented DJI Intelligent Flight Battery continuously tells you exactly how long you can continue flying, based on how far and at what altitude you are, and it alerts you when it’s time to head back. This information is streamed live to the GO app on your mobile device. Recharging is quick and easy, and bright LED indicators tell you current status and power level. A protective plastic housing helps prevent damage and contains intelligent sensors that make your battery worry-free while extending the life of your battery. 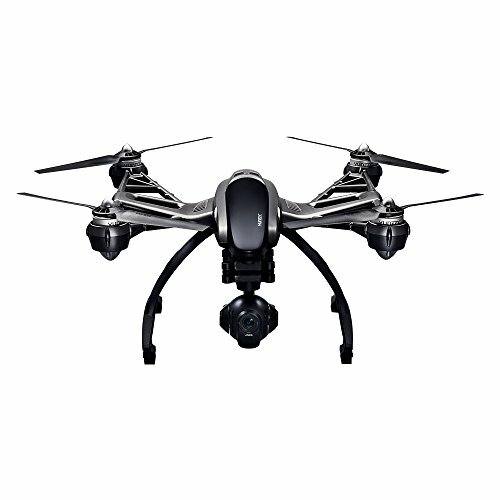 This drone is features excellent image quality, allowing up to 4K resolution video capture. It is quick to setup and very easy to learn how to fly. The stabilized gimbal platform provides for smooth flowing images with no jitter. 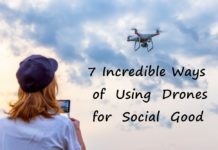 Getting started with the drone is incredibly easy. When you take it out of the box, just start charging the battery and the controller (a supplied lead charges both through one plug), and download the DJI Pilot app onto your iOS or Android device. The DJI Phantom 3 has a lot of features for its given price point. 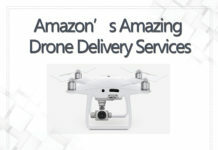 This will easily meet your imaging needs for aerial photography. 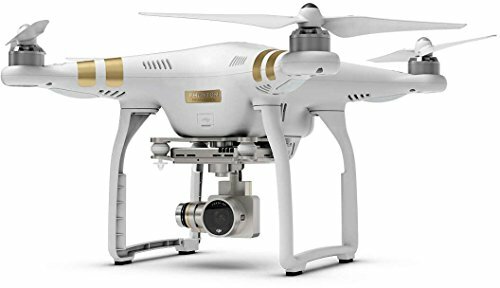 With its simple operation and great image quality, the DJI Phantom 3 Professional is one of the best ways to get into aerial videography.